Without the Yemen, coffee may never have become the beverage it is today. Coffee’s history with humanity is traceable back to this Middle Eastern country. One story is of an Indian monk named Baba Budan, who so loved the beverage he smuggled it out, and grew it in Mysore India. As a result of which, the Dutch were finally able to lay their hands on this prized seed. From there via the Dutch, French, Portuguese and Spanish this crop spread throughout the world. It is believed that the people from the Yemen were the first to cultivate coffee. Originally coffee was traded as part of the silk route, and that traded coffee came from the Yemen. The port of Mocha in Yemen is why the word Mocha and coffee go together. Also of interest, it is believed the word for Arabian wine “qawha“, is the root of the word coffee today. Yemeni coffee burst back on to the scene in the late 2000’s, after a number of these coffees made it to the SCAA and SCAE (now SCA) exhibitions. Since then a number of people have been working at bringing these unique coffees to fellow coffee lovers. Café Imports recognized this demand, and are working with a local producer to try and identify some quality growers. Café Imports had identified that processing was an issue with the coffee from the Yemen. Here coffee processing is very traditional and lessons that the Specialty coffee sector had learnt in the last 25 years had not been utilized. So they offered more money for quality cherry, rather than was the tradition of buying for dried coffee cherry. 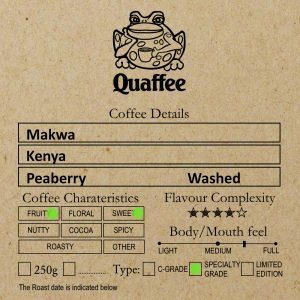 As a result they are able to offer the best of the Yemeni coffees to people like us at Quaffee. There’s every reason to believe that Yemen is going to be the coffee-producing country everyone is talking about—and it’s about time, since it is the second-oldest coffee culture in the world, and possibly the origin of the beverage we know, recognize, and love as true coffee. Yemen has been cultivating coffee plants since at least the 16th century, if not earlier, but coffee hasn’t always been the first thing to come to mind with mention of the place: The country has been in the midst of a brutal civil war since 2015, and its other seemingly most-newsworthy characteristics are its water impoverishment, increasing dependence on the narcotic plant qat, and appearance on the U.S.A.’s recent “Travel Ban.”Naturally we’re interested in Yemen as a global neighbor, but we at Cafe Imports are also interesting in how we can make a difference to the Yemeni people by doing what we do best: Sourcing, buying, selling, and proselytizing about the best coffees we can find. 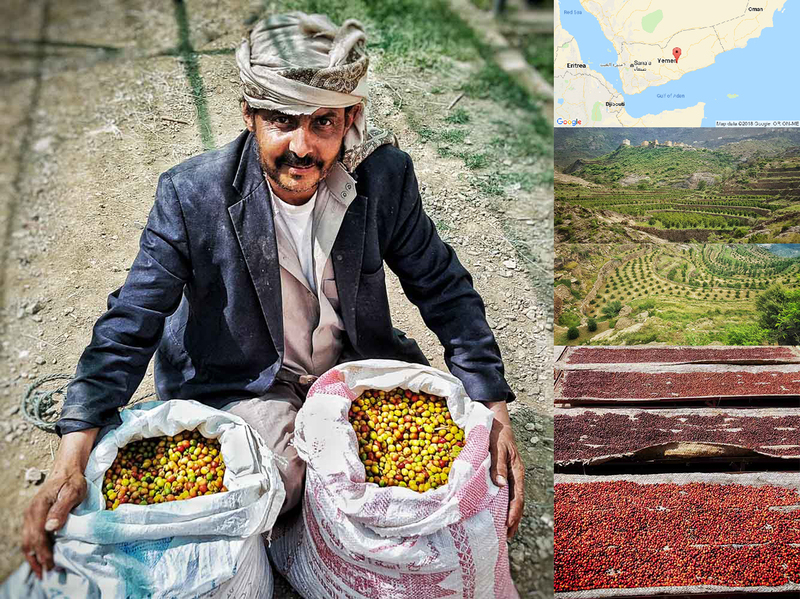 A few years ago, Cafe Imports’ head of sourcing, Jason Long, was on a long hunt for spectacular Yemen coffees—the kind the coffee-history books are literally written about—and he finally found some in the mid-2010s, when he met Shabbir Ezzi, an entrepreneur and the owner of exporting company Al-Ezzi Industries. Shabbir has invested not just money, time, and energy, but also his life by relocating to Yemen in order to make high-quality coffee a viable, sustainable, and empowering pursuit for the farmers in and around the coffee region of Haraaz.Shabbir had the passion for improving Yemeni coffee, but not necessarily the background in quality development: Jason requested that Al-Ezzi focus on buying fresh (not dried) cherries from producers, and to dry the cherries evenly on raised beds rather than the traditional patios and rooftops. Shabbir agreed, and the collaboration has had remarkable results. 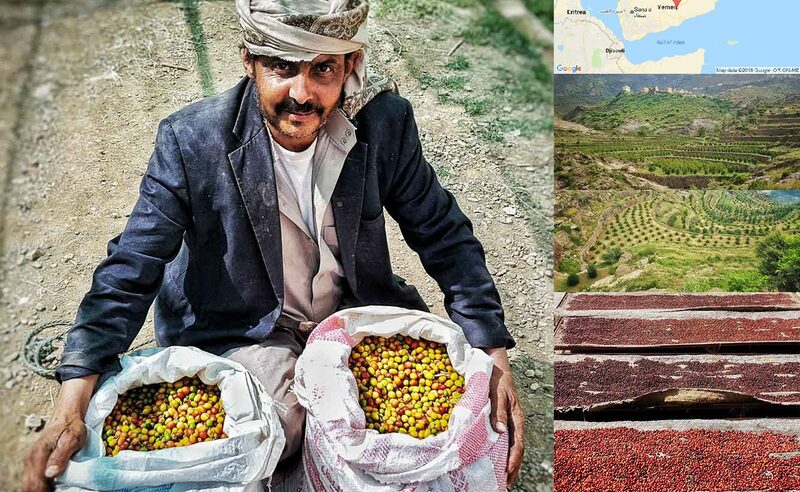 Al-Ezzi still works with producers in the traditional way as well, and is able through their efforts in sourcing and sorting to buy coffee at different levels of quality and traceability from producers in Yemen. We selected the Haraaz Red and Fresh. For both of these coffees fresh coffee cherries are purchased directly from producers of the Sharqui Haraaz microregion. Here Al-Ezzi receives coffee at local collection points. The coffee is fully traceable through the producer ID cards. Coffee is dried on raised beds and milled in Sana’a. In order to offer these coffees at a great retail price, we were able to experiment little. So this means we have no recommended brews, we used our standard brews instead. Espresso: 1:2 – 25 sec shot – which is quite fine. Pour Over: 14g:240g – 3 minute brew – three pours first pour 28 g.
Aeropress: 14g:180g – very fine grind. Plunger: 6g:100g – we made a 18g:300g brew on a coarse grind using the James Hoffmann method. You can order our next roast here (if you have the password): Yemeni Haraaz Fresh.